Environmental Services - SPS | Solvents & Petroleum Service, Inc.
SPS is capable of handling any size waste transactions. We have access to a full fleet of vacuum equipment and roll off containers capable of handling any material regardless if it is wet or dry. SPS is able to customize your specific needs to maximize transportation and disposal cost, guaranteeing you get the best value. The proper handling, identification, and disposal of hazardous wastes is one of the more difficult issues facing our industry today. 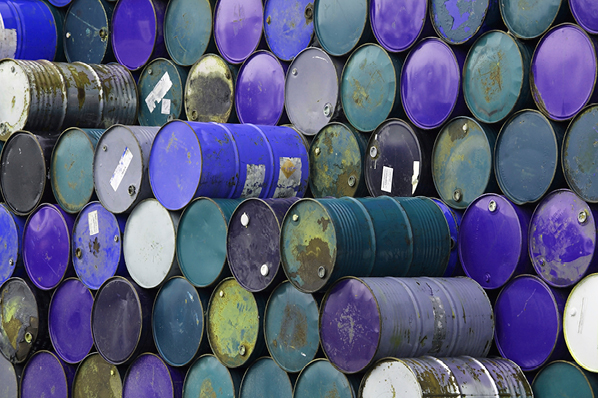 The Resource Conservation and Recovery Act (RCRA) has set forth regulations governing the generation, transportation, storage, treatment, and disposal of these hazardous wastes, and calls for severe penalties for the violation of these regulations. SPS can help minimize your company’s risk and liability in a cost effective manner. By utilizing our complete waste management program, a client is able to consolidate all the required capabilities needed to properly sample, analyze, package, label, manifest, transport, and dispose of their waste materials. Our permits allow us to handle various hazardous waste, non-hazardous waste, and universal waste streams. View the complete waste list by downloading the file below. Generation of Waste → SPS Chemical Experts Visit Your Site → Waste Characterized and Coded → Lab Packing if Necessary → Facility Recognizes Waste → Our Permitted Facility Receives Waste and Processes → Your Risk and Liability Reduced! SPS has been a fully insured and permitted transportation, storage, and disposal facility (TS&D) since 1980. Our permits allow us to handle bulk or packaged hazardous waste, non hazardous waste, and universal waste streams. The SPS team will review all waste materials and recommend the best method of disposal, reclamation, or thermal destruction. If you're not sure where to start with your waste needs, contact SPS at 1-800-315-4467 to speak with a waste specialist.